Colin Smith's Mass Shalom was originally published in Sydney in 1977 by J. Albert & Son, and comprised only the Kyrie, Gloria, Sanctus/Benedictus and Agnus Dei. Since then Mass Shalom has enjoyed extraordinary popularity from generation to generation. 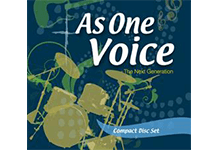 It is the only Mass setting to be included in all four major Australian Catholic hymnals over the past 25 years - Catholic Worship Book, New Living Parish, As One Voice and Gather Australia. In this third edition, I have adapted Colin’s 2002 revised edition so that the setting may continue to be used after the Roman Missal Third Edition is introduced in 2011. This 3rd edition of Mass Shalom has been recommended by the Australian Bishops for use in all parishes and schools throughout Australia, to help develop a common Australian repertoire for the Mass. The revised Glory to God features in the You Tube video of the Lift Up Your Hearts National Liturgy Conference, below. The recording is by Br Colin Smith's Choir, the John Paul Singers, conducted by Donrita Reefman. Organist, Edith Yam. Recording Engineer, Greg Ghavalas. Producer, Paul Mason. You can purchase Mass Shalom products here.